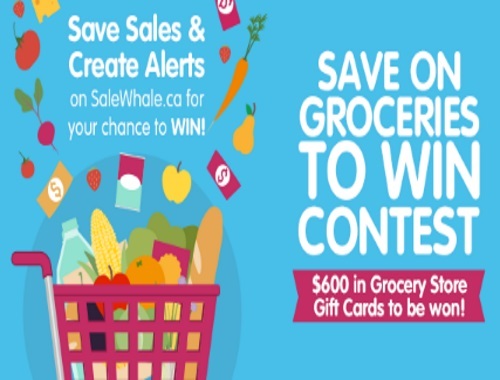 Salewhale, Canada’s favourite grocery flyer search engine, helps you save time and money on your grocery shopping. Now they want to help you save up to 50% or more on your grocery shopping list with our ‘Save on Groceries to Win’ Contest. Win one of 8 $50 Grocery Store Gift Cards, plus be entered to win the Grand Prize of one $200 Grocery Store Gift Card to the grocer of your choice! Participating is easy. If you are not a SaleWhale member simply create a SaleWhale account and every time you Save a Sale or Create a Sales Alert you receive one entry in the contest. Save as many Sales and Create as many Alerts as possible to maximize your chances of winning. Contest closes March 31, 2018.